Less than a month after their debut at MWC 2018, Sony Malaysia has officially launched its new Xperia XZ2 and XZ2 Compact flagships in the country. 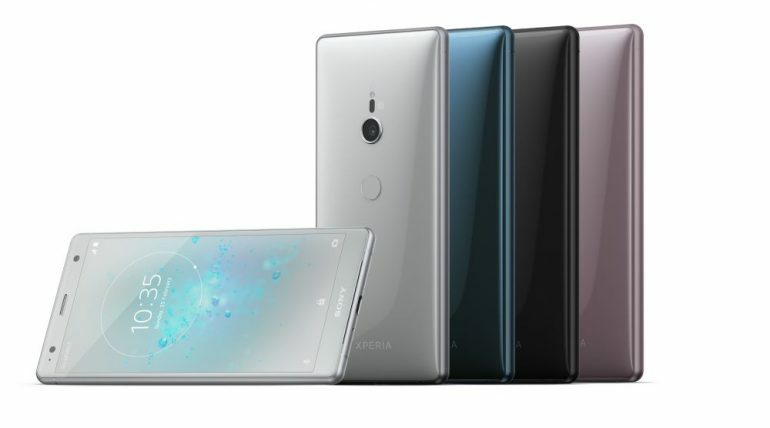 The new design of the Xperia XZ2 series take a departure from Sony’s previous generation Loop Design language, which was widely used in it Xperia XZ and XZ1 series. The back of both phones are now heftier; in the case of the bigger XZ2, it’s designed to accommodate the guts of the new Dynamic Vibration System, which provides rumble feedback when you’re playing any form of media on the phone, including videos, music, and even games. The displays on the XZ2 and XZ2 Compact are of the Full HD+ variety, and both use the 18:9 display ratio instead of the usual 16:9 ratio. The insides of the XZ2 and XZ2 Compact are impressive; both models are rocking a Snapdragon 845 SoC, 4GB of RAM, and a 64GB UFS internal storage capacity, which can be expanded by up to 400GB via microSDXC card support. But, the biggest absence from the phone is the 3.5mm audio jack. In its stead, both phones will ship out with a USB Type-C to 3.5mm adapter. 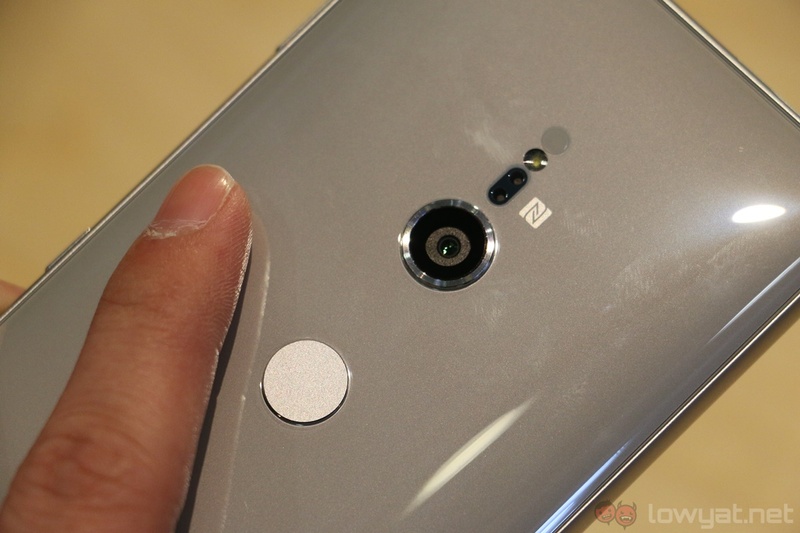 The main camera array of the phones are still using the same 19MP f1/2.3 Motion Eye sensor that first debuted on last year’s Xperia XZs and XZ Premium. As before, you can still capture super slow motion video at 960 fps with it, but unlike its predecessors, the new Xperia XZ2 series can now capture super slow motion video at 1080p, compared 720p. The front-facing cameras have also been bumped down to 5MP; compared to 13MP on the Xperia XZ1 and 8MP on the XZ1 Compact. Pre-orders for the Sony Xperia XZ2 and XZ2 Compact will start from today until 4 April 2018. 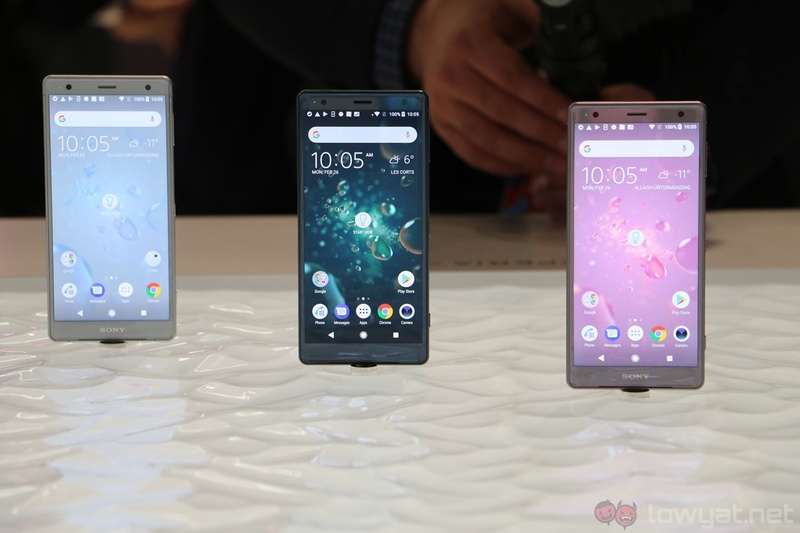 The new phones will retail at RM3299 for the Xperia XZ2 and RM2899 for Xperia XZ2 Compact, and they will be available at all official Sony stores and authorised resellers, as well as on 11street. In conjunction with the launch, Sony is also offering pre-order bundle gifts worth up to RM1088 for every purchase of the XZ2. The gifts include a pair of ZX770BN Wireless ANC heaphones, a hardshell premium backpack, a Sony exclusive Touch ‘N Go Card (pre-loaded with RM100), a phone case, and a screen protector.